When outgoing CSAC President Leticia Perez was addressing the Association membership at last week’s Annual Meeting, she talked about how she found every-other-year of the conference to be bittersweet. That has nothing to do with the quality of the conference, but rather because it was a time to bid goodbye to colleagues who are leaving office. It’s a warm autumn day in rural Del Norte County. Beyond the ripple of the nearby serene Smith River, the only sound you hear is an occasional bird. It’s a scene out of a postcard. No wonder the nearby residents of the tiny communities of Hiouchi and Gasquet are proud to call this area home. 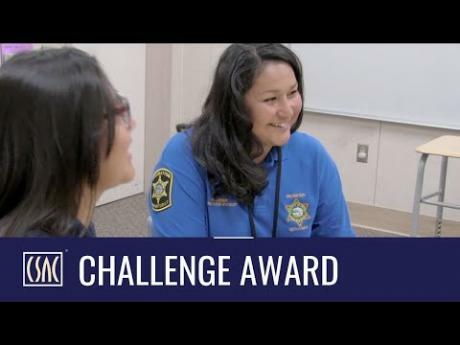 Much like the San Francisco Giants recent run of winning World Series in even-numbered years, the Sacramento County Probation Department is following a similar trend by taking home CSAC Challenge Award honors in 2014, 2016 and now 2018. 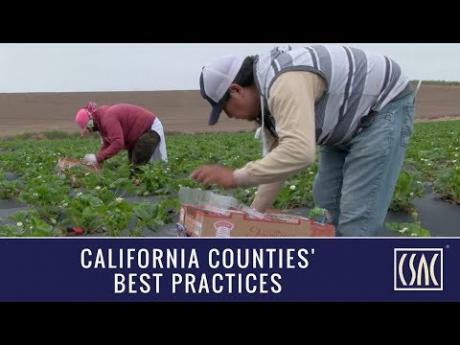 CSAC spotlights the most innovative programs created by California Counties each year through our awards program. To watch a video spotlighting this year’s award-winning programs, click here. Innovation is alive and well in California Counties. That’s a phrase we often use in describing the annual CSAC Challenge Awards. But this year, perhaps a better phrase would be: resiliency is alive and well in California Counties. 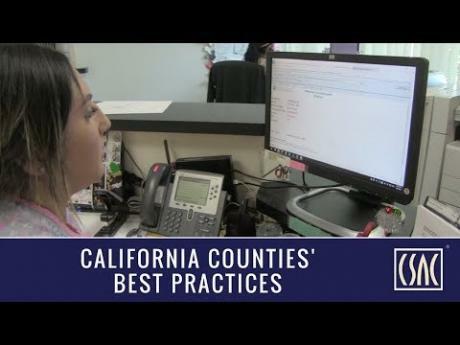 California County leaders are continuously adapting to changing conditions, including economic downturns, legislative decisions made at the state level and even natural disasters. The wait is almost over as final decisions regarding the 2018 CSAC Challenge Awards will be made next week. CSAC will inform the award-winning counties the week of Sept. 10, as well as spotlight the top programs on our website. More than 10 million people live in Los Angeles County – that’s a larger population than all but seven of our states. And out of those 10 million people, about 25 percent are Spanish-speaking and not proficient in English. When it came to the complex world of planning and permitting, many residents could not fully understand what they had to do. When it comes to cannabis, Humboldt County has come a long way in the past couple of years. Historically renowned for its illegal grows, the County is now leading the way on working to ensure only permitted cannabis is entering the California marketplace. 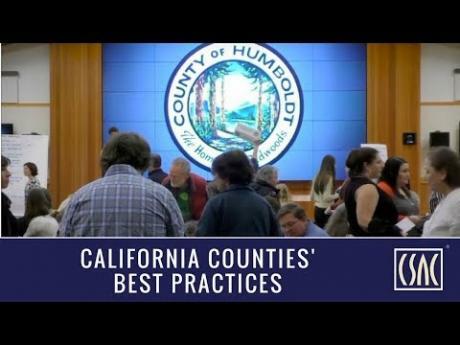 While Humboldt is still the epicenter of the “Emerald Triangle,” it became the first government entity in the state to implement a track-and-trace system for cannabis. 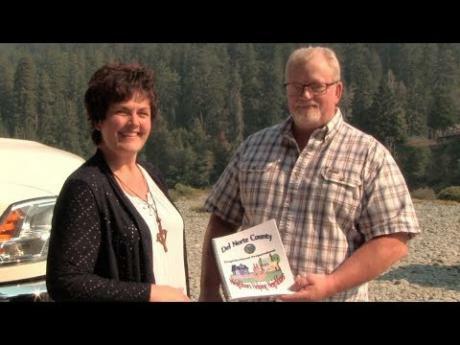 Please click here to watch a brief video about this program. 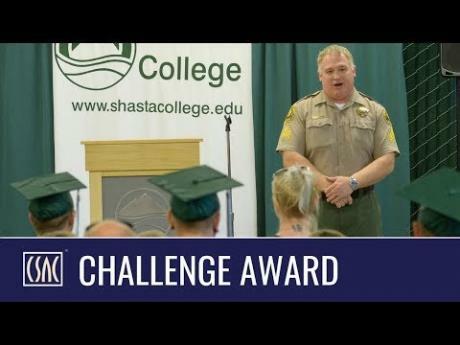 Step inside this college classroom and at first glance, you will see a scene played out at many community colleges throughout California. Casually dressed coeds sit at their desks, listening to their instructor, answering questions and participating in discussions. Inspirational sayings can be found on the walls and whiteboard. Please click here to watch a brief video about the program. The Los Angeles County Public Works office building in the City of Alhambra stands out ominously against the surrounding cityscape. Its stark, blue-tinted windows exemplify the symmetry and seamlessness of the building’s cube shape. Outside, along one side of the building, another project stands out – but in a different way than the structure that looms overhead. Brilliant colors from blooming flowers and plants are abundant; you can hear the buzzing of bees and smell numerous fragrances. It’s no secret that youths incarcerated in Juvenile Hall are often victims of a traumatic past. And usually their symptoms have gone untreated before entering the system. San Diego County sought to attack this ongoing problem head on by introducing specialized treatment within their detention facility. It’s called the Trauma Responsive Unit (TRU), and it’s showing impressive results. That quote is becoming somewhat of a motto in Santa Barbara County among those engaged in the quest to reduce homelessness. And in Santa Barbara County, that motto has come alive through the creation of a unique collaborative among numerous local government, nonprofit, private sector, faith-based organizations, as well as numerous other stakeholders. “Opportunity” isn’t a word you often hear when it comes to youths who spent time in the juvenile corrections system. But opportunity is exactly what a number of these individuals are receiving through a collaborative program in Los Angeles County. If you research competitive mock trials on the Internet, you learn that they take place in numerous countries around the world. In the United States, students participate in them at the college, high school and even middle school levels. But finding anything about mock trials involving incarcerated youths is a search that begins and ends with San Bernardino County. San Diego County’s emergency website, ReadySanDiego.org, has information on a wide variety of natural disasters that could result in large-scale evacuations, such as an earthquake, tsunami, fire, or flooding; there are also man-made crises, like gas leaks or terrorism. The County and its cities work to prepare for such disasters – and now have a new tool to assist in their emergency response: a series of informative videos that provide first responders training on evacuating individuals with physical, cognitive and emotional disabilities. We all know about California’s Adopt A Highway program that’s been in existence for more than 25 years. But few people know about a similar program in Orange County that’s keeping flood-control channels free of litter and graffiti. It’s called the Adopt A Channel program and it’s making a positive environmental, scenic and fiscal impact on the County. More than 50 first-term supervisors from Modoc to Imperial Counties are meeting in Sacramento today and tomorrow for the second session of CSAC’s New Supervisors Institute. At the Northern California Construction Training Center in Sacramento County, you can find a number of probationers hard at work learning new crafts. And over the sound of hammers and buzz saws, a four-letter word is frequently heard. That word is H-O-P-E.
For many of those taking part in this career training, it’s the first time they’ve had any hope in a long, long time — thanks to a joint program created by the Sacramento County Probation Department, County Office of Education and the nonprofit Northern California Construction Training (NCCT). To watch a short video about this program, click here. At the junction of Highways 120 and 6 in eastern Mono County — 37 miles from Bishop and 51 from Lee Vining — sits the isolated, rural community of Benton. There is little evidence left of Benton’s rich mining history. The town is now home to either 164 or 282 residents — depending on which state sign you believe when you enter the town. The Benton Paiute Reservation is just a few miles away. The surrounding region, sitting more than 5,700 feet above sea level under the towering Mt. Montgomery, is desolate yet beautiful. There’s something in the water in Amador County. Perhaps it’s passion for public service, a desire to learn and lead, or just a commitment to improving the lives of others. Call it what you want, but the rural county of 37,000 residents is demonstrating its leadership at the state level in a big – and very unique – way. Santa Clara County resident Stephanie Martinson is on a mission. Her goal is simple: saving lives. Stephanie’s route is taking her across local government jurisdictional lines – from school districts to cities to the County. Toss in health-care nonprofits as well as the private sector, and Helen Keller’s quote has come alive in the South Bay. To watch a short video about the program, click here. That noise you may have heard? That was Yuba County blowing up the belief that the wheels of government turn slowly. In a mere two-months’ time, the County – in collaboration with various local partners – developed, built and opened a new temporary housing program for the homeless. The deadline is quickly approaching for the 2016 CSAC Challenge Awards. All entries must be postmarked by Friday, June 24, to qualify. 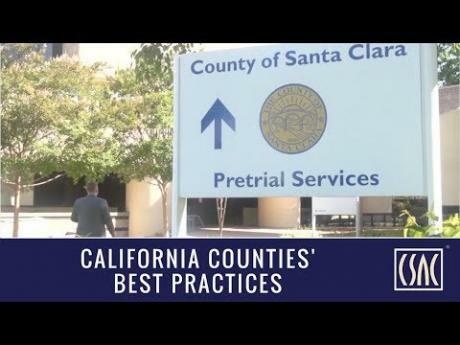 We recently had the pleasure of spotlighting 12 county best practices during National County Government Month. 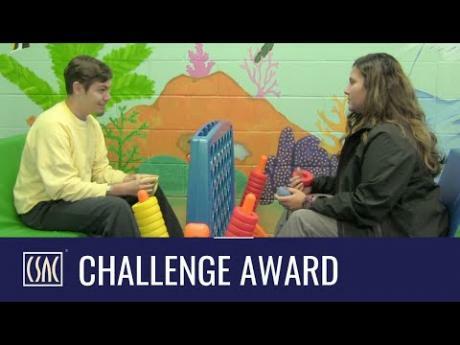 These innovative programs were recipients of the 2015 CSAC Challenge Awards. For the past few months, CSAC communications staff has been on the road to learn more about these programs for the videos and blogs we produced. We traveled from San Diego to Amador, Los Angeles to Mendocino. To watch a short video of the program, click here. Located along a gritty street north of downtown, the Community Transition Center in San Diego County is bustling with activity. Only the locked gates remind you that the old motel now has a new purpose. Inside, dozens of probationers talk and hang out in small groups. Working among them is a social worker who has a goal of getting as many signed up for Medi-Cal health care as she can. Please watch a short video about this program here. As the defendant steps up for his court hearing, Judge Denine Guy comments how he is wearing a different Star Wars T-shirt from his last appearance. She asks him how many he has and he replies, “Six or seven.” In a legal system where misdemeanors are often looked at in terms of specific case numbers rather than the individuals behind them, Judge Guy’s comments stand out. She remembers this defendant; she knows his story and what it will take to help him turn his life around. Please watch a short video of the program here. Despite being surrounded by a dozen people talking and moving around, Humu – a 2-year-old butterscotch labradoodle – lies motionless on the floor. It’s not that Humu doesn’t have a care in the world; he’s just been trained as a service dog – and that training began at the Southwest Juvenile Hall in Riverside County. Near him a young, small black and white dog named PJ scampers around, anxious to see everyone in the room and oblivious to any commands cast his way. PJ is awaiting training that will soon begin at the hands of the one of juveniles housed at the facility. Please watch a short video about the program here. Please watch a video of the program here. It’s not typical to see William Shakespeare prominently quoted on a jail unit wall. Nor is it typical to see the unit decorated with military flags and artwork. But this unit is not typical. It’s a rehabilitation and treatment program for incarcerated veterans developed by the San Diego County Sheriff’s Department in conjunction with the U.S Veterans Administration and community partners. The goal of the program is reduce recidivism among veterans – and it’s working. Facing new challenges is nothing new for our 58 counties. It might be a natural disaster, such as a wildfire, flood or the drought; or it could be a new policy instituted by the state or federal government, such public safety realignment or the Affordable Care Act. 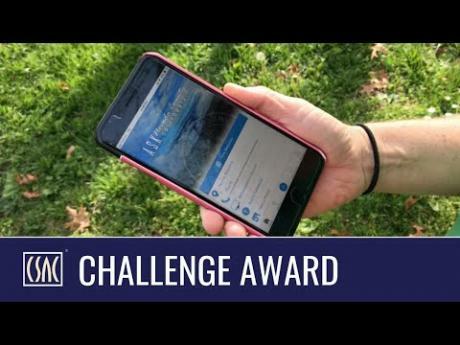 CSAC’s annual Challenge Awards program – which recognizes the most innovative, cost-effective programs developed by our counties – regularly shows that county officials and staff are up to the task. 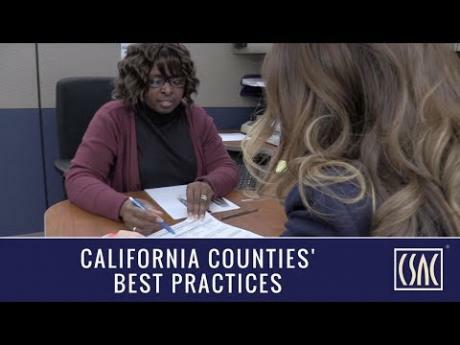 From protecting our most vulnerable citizens to programs that assist veterans and foster children, California Counties are delivering critical services to Californians. 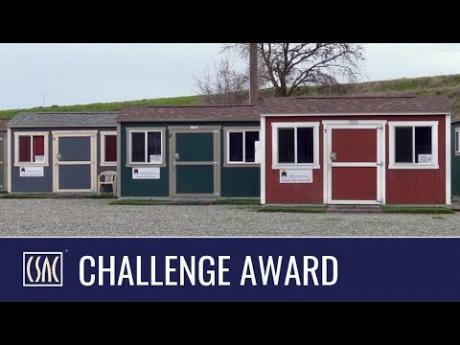 CSAC is pleased to highlight County best-practices by announcing the recipients of our 2015 Challenge Awards. 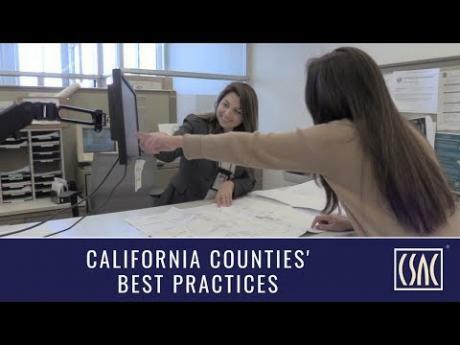 CSAC has also produced a video on the Rocky Fire and the valuable role of county collaboration. You can view it here. I am standing next to Lake County Sheriff Brian Martin on a hilltop looking out at the devastated landscape caused by the Rocky Fire. Nearby are the ruins of a residence and a burned out vehicle. Although fire roared through this area two days prior, you can still feel the heat rising up off the hillside. Wisps of smoke are tell-tale signs that the fire – with just enough wind – could re-emerge in this area. The Sheriff doesn’t like what he sees and feels and requests that we leave the area immediately. I don’t argue. I remember back to February 19, 2009, when we were nearing our first class of the CSAC Institute for Excellence in County Government. Bill Chiat (the newly appointed Institute Dean) and I had a meeting and openly wondered how many participants would attend; we had our fingers crossed this new educational foray would take root. Well, we made it past that first course where we had seven county supervisors in attendance. That number grew to 27 attendees for our second class in March. At that point, we knew we were on to something. Located along a gritty section of Long Beach Boulevard, across the street from a 99 cent store and a used-car dealership – far away from the bright lights and glamour of Southern California – sits a non-descript two-story building. The only marking on the façade is a brightly colored mural above the entry way. Amidst a rainbow and dolphins, it reads, “Paths to Wellness and Recovery.” This is Los Angeles County’s Long Beach Mental Health Clinic. There’s a perception that government is inefficient, that a seemingly endless bureaucracy creates wasteful spending. 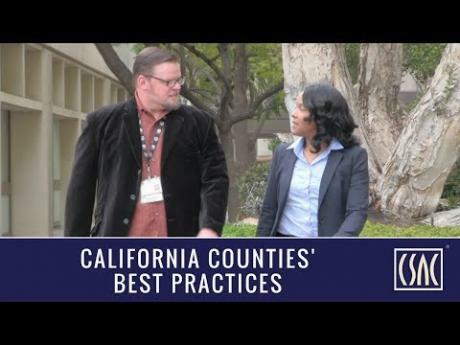 Those with that opinion obviously haven’t stopped by the Ventura County Government Center, where a collaborative project among departments is resulting in more efficient and effective services for area residents at a time of increased demand.